On April 17, all over the Hawaiian Islands, volunteers will be counting monk seals—and they could use your help! The semi-annual count, coordinated by NOAA Fisheries, only happens 2 times a year. 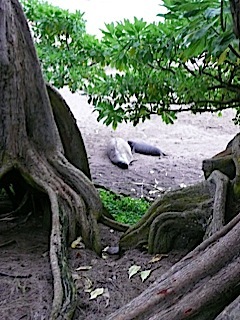 All islands participate on the same day at the exact same time to get a snapshot of monk seal numbers in Hawaiʻi and their locations.